Have you ever been drooling over a recipe only to realize that you have all the ingredients on hand? Or staring blankly in your fridge to have a sudden flash of brilliance? That happened to me last night. The result? 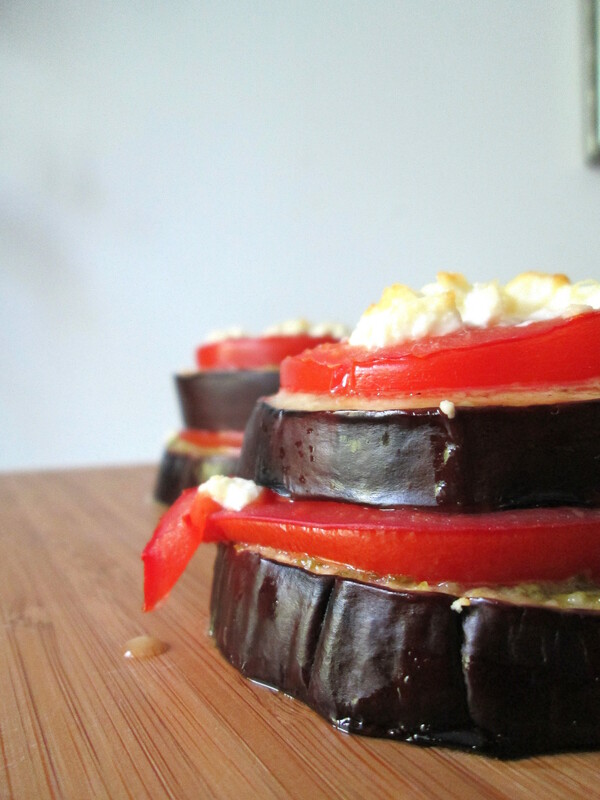 Thick, hearty eggplant slices, grilled slightly, combined with tomato, feta, and some fresh basil from the deck. Amazing. You can find a variation of the recipe here.